Hey! You got a question? Are Campers allowed on the festival? Unfortunately our event permit won’t allow us to accept motorized vehicles on the festival ground. Is there electricity/water on the festival? Yes, there is a place to charge you phone and there is water at the camping. Is it allowed to bring own food and drinks to festival and camping? No, it isn’t allowed to bring your own food and drinks. The prices for food and drinks will be fair and quality is high. Also breakfast, lunch, snacks and dinner will be provided. Healthy food and fruit are on the menu. It’s allowed to bring food/drinks to your tent from the festival. Is it allowed to go off the festival-terrain? Everything you need for 4 days is arranged. Is it possible to pay with by card? You can buy coins with you bankcard but paying cash will be faster. No, so please bring your own cigarettes!  If your question is not mentioned you may contact All We Want Festival on facebook. We will answer your question as soon as possible.